We are at the dawn of a mobility revolution, where autonomous vehicles will replace cars controlled by humans. We can imagine this developing along two possible divergent paths with very different implications for cities. Will we create an ownership society with private, driverless cars? Or a world of lightweight, shared social mobility robots available to all? In this CityScope project, extreme versions of these two futures are presented. In one, streets are dominated by machines and density leads to congestion and anxiety. The other is a more vibrant city where humans recapture streets and density increases equity and creative interactions. We propose that new mobility systems must be explored to meet the profound challenges of the future and to enable dynamic and evolving places that respond to the complexities of life. 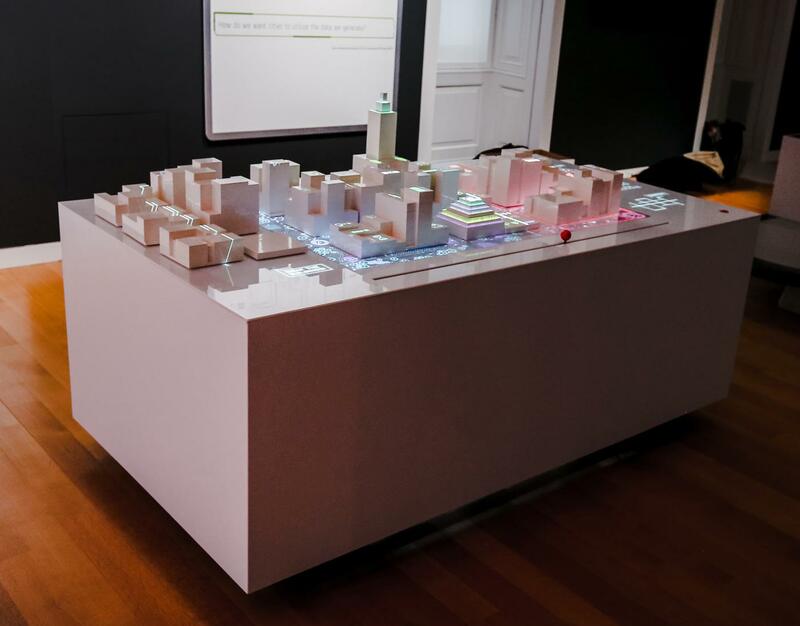 MIT’s CityScience group installed two projects at the Cooper Hewitt's The Road Ahead exhibition. These were the PEV, or Persuasive Electric Vehicle, and the CityScope platform. 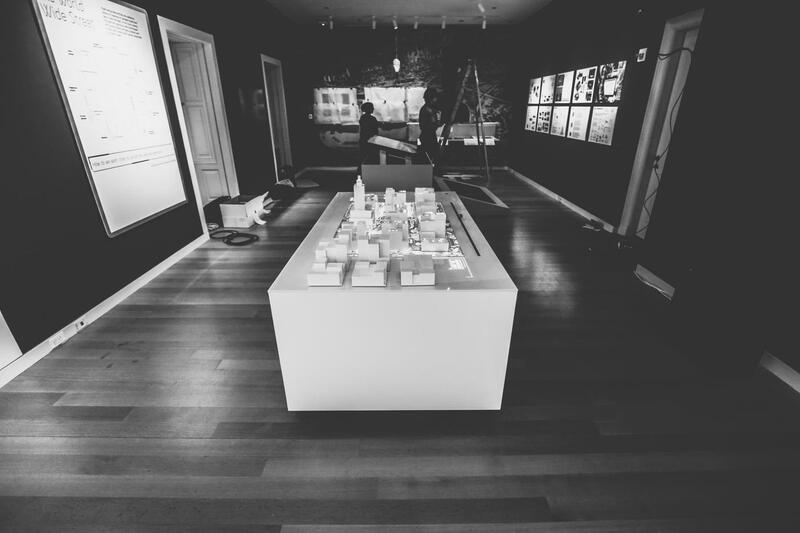 The CityScope allows for collaborative exploration of different scenarios in a city. 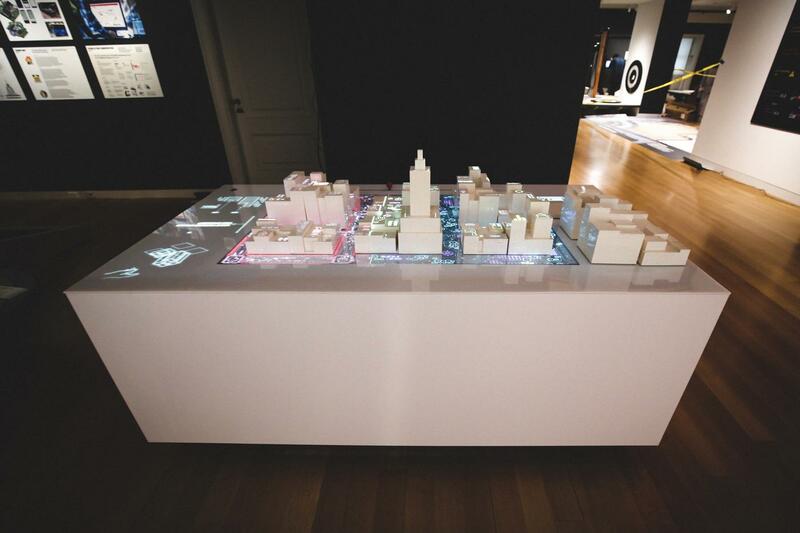 Multiple designs and simulations can be visualized in realtime on a table, around which people can discuss the various potential outcomes , implications, and decisions that impact an urban environment. The buildings can be moved around the city model in realtime. These changes are detected by our system and the impact of these changes are projected onto the model. This particular CityScope prototype allows for the impact of these changes to be visualized; while at the same time a mechanical slider allows the user to see the results in one of two worlds. A world of private mobile autonomy, and the other is a world of shared autonomous lightweight vehicles. The latter allows for the reclamation of the streetscape for alternative purposes that may serve society in various ways. This table is an abstract piece for the public to engage with and experience the interactive possibilities of CityScope. It was designed with no specific context in mind, but rather a generic city grid. The intention of this installation was to show the impact a lightweight autonomous system could have on a city, such as the PEV. The text projected on the table is taken out of context, belonging to no one place or country. One will notice that the words too are abstracted to say that the city does not have to belong to humans alone, but rather all living organisms. Eziphilayo ,for example means living in the organic sense of the word.